On Maundy Thursday, April 18, 2019, we will gather in the Fellowship Hall from 6:30 – 8:00 pm to celebrate and remember the Last Supper. We celebrate this event by sharing a potluck-style meal together and partaking in the bread and cup of communion. This year, during our Maundy Thursday dinner, we will be using the very tools God gave his people, Israel, to remember their rescue story, as means of preparing our hearts to remember God's great rescue story. To do this, we will walk through some of the elements of the Passover supper during the course of our own meal. Our hope is to not only explore the context around the last meal that Jesus shared with his disciples, but to also see the beautiful ways in which the Passover meal foreshadows and prepares the hearts of God’s people for the coming of the ultimate Passover Lamb. 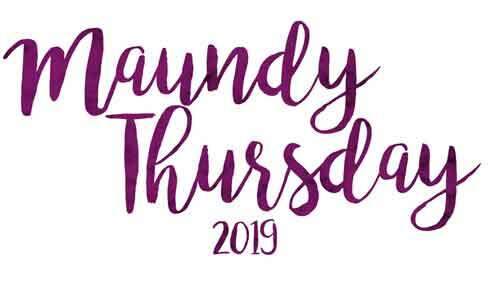 If you are planning to join us on Thursday, April 18 for our Maundy Thursday service and are willing to bring something to share for that dinner, please signup below to let us know what FOOD you will bring or if you can help with setting up or cleaning up for the event. Thank you for signing up to bring food for our Maundy Thursday celebration on April 18! We look forward to celebrating with you then!